I can remember riding in my dads F150 with him as we pulled into the local YMCA. He was heading to his forty and over basketball league. He would be playing basketball while I ran around a tiny indoor track, with my Walkman listening to ace of base. My love for fitness started even before my running around the tiny indoor track at the Y. I often would roller blade pretending I was a ice skater in the basement or the best was seeing how many times I could ride my bike around my house. Their was the jump rope competitions in the basement between my brother, dad, and I. Late night games of pig and cow in the drive way in the intense humidity of late summer nights. My dad often thought it was hilarious to go on an after dinner run with me on Sunday evenings. We would run around three miles, an out and back course. He would always turn around early and try to beat me. I would end up catching him and a few times we literally had a race off for the last 200 meters! Fitness gave me discipline, routine, and motivation. It helps me plan my day. It helps me stay energized. It gives me focus. It helps me connect with God. It gives me a tiny sense of freedom in a world full of diapers, potty training, and bottles. It’s a habit and part of my everyday routine. When I don’t work out I am cranky, exhausted, and what I call out of sorts. It is my escape and the only ‘medicine’ I want to have to take during this lifetime. Over the years my love for health and fitness not only grew but has become my passion. I yearn to help women incorporate fitness into a routine that they carry out for life LONGTERM. When I became pregnant with Angelina I wanted to journal my third pregnancy. I wanted all my baby girls to be able to look back and see my ever changing belly photo’s. 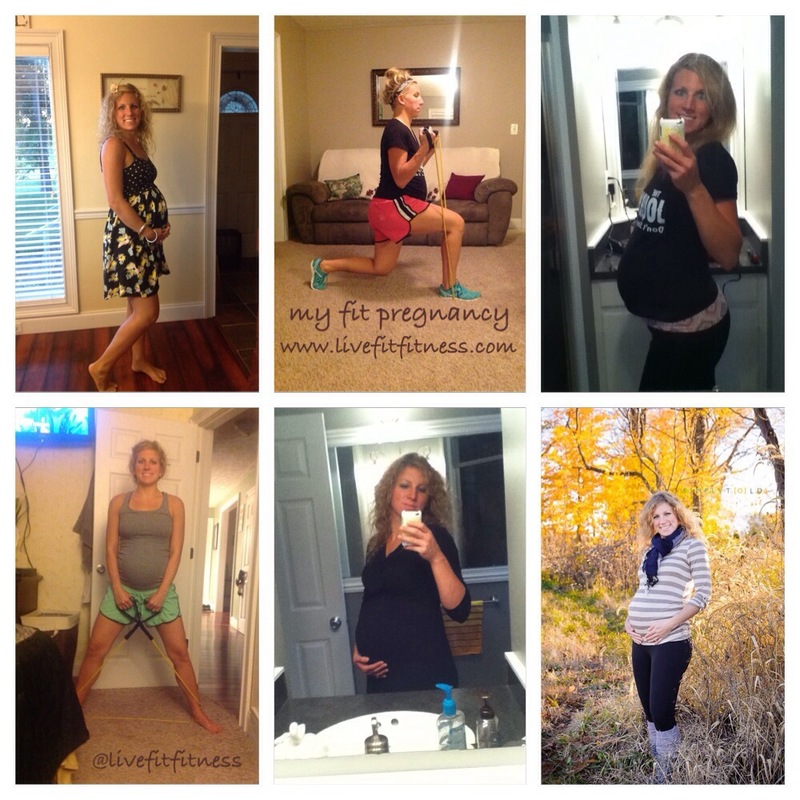 I used my photo’s as motivation and they helped me stay on the path to a healthy pregnancy. I believe progress photo’s help similarly if you are trying to loose weight. The scale often does not reflect what is happening inside during a weight loss program or if you are trying to get into shape. Progress photo’s show gradual changes and give us such confidence to move forward on the journey of becoming more fit. I am so glad that I tracked my photo’s. This was my third pregnancy and by far my best feeling pregnancy. I worked out almost to my 37th week and I felt fabulous. I ate so many vegetables, fruits, and nuts. I drank a lot of water and ate lots of steak :). I felt amazing and I was so excited that I gained 30lbs a healthy amount of weight and kept my blood pressure down. It was so important to me to care for my little peanut while she was growing inside. 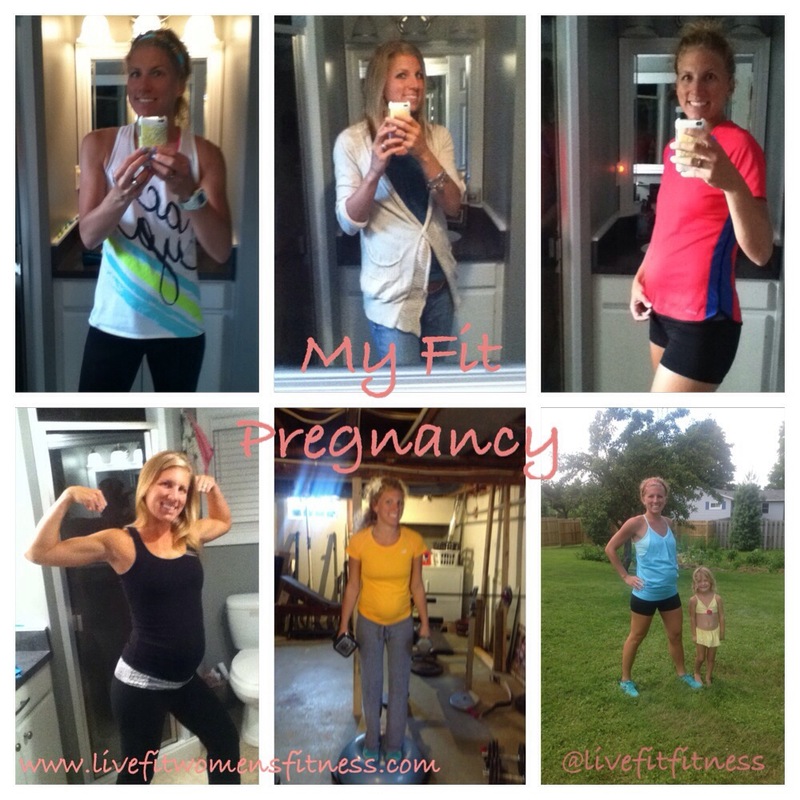 In my first pregnancy I did not take good care of myself and ended up delivering 5 weeks early and having hypertension. In that moment and her response I felt such a huge burden lifted of my chest. She said: ” Michelle in caring for you body the way you did, you did nothing but help Angelina come into this world happy and strong. She went on to tell me about studies that have been conducted on moms who work out during pregnancy and how much it benefits their babies. She told me that everything I did helped Angelina. When Angelina was first born I blamed myself a lot. I now know that she was brought into this world to bring HOPE and for a specific purpose. I did nothing wrong, nothing I did or didn’t do would change how God created her and we are so quick to blame ourselves when things don’t go as planned in our lives. Maybe it’s your family life, career, you aren’t content with where you are at in life currently, or a weight loss journey that you are on that feels like it’s spinning out of control. Know that ultimately God has his hand on each step of the journey. In each season he is molding us into who he ultimately wants us to be. I have felt a lot of closure in this area lately. I feel happy to have done everything I could have done for Angelina while she was growing inside of me. I am feeling extremely blessed at what this little girl has shown us about life after only four short months and so excited to watch her grow. I would love to help you turn fitness into LIVING FIT FOR LIFE! Stop blaming yourself in life and start living life healthier!